Terrifying to climate alarmists, that is. Sea level has been rising for the last 20,000 years, since the start of the blessed global warming that brought us into the light, warmth and buzzing with life bio-diversity of the current inter-glacial period. 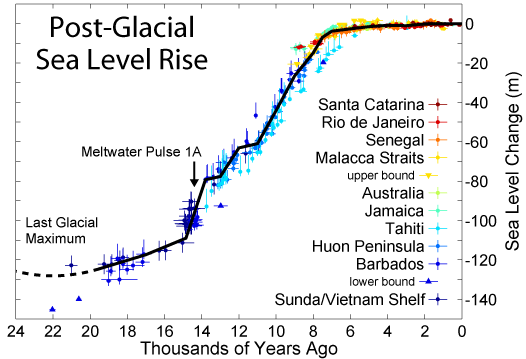 The most rapid increases in sea level occurred between fifteen and eight thousand years ago. 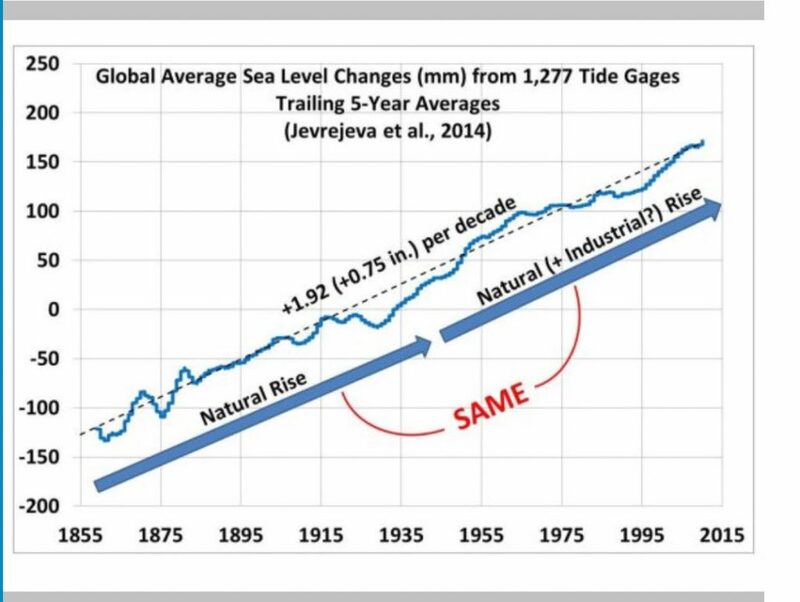 With minor fluctuations, the rate of sea level rise has been declining since then. 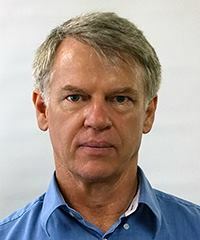 Despite a modest increase in global temperature over the last one hundred and fifty years, and a modest increase in atmospheric CO2 in the last seventy years, there has been no change in the rate of sea level rise. Despite shrieks of terror from climate alarmists, there has been no change in the rate of sea level rise from 1855 to the present.